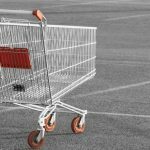 Sales loss caused by cart abandonment is an issue that every ecommerce merchant faces in their business. Quite often online shoppers don’t complete the purchase after adding some products to their carts due to various reasons, like not clear checkout process, browsing other websites, or other distractions. 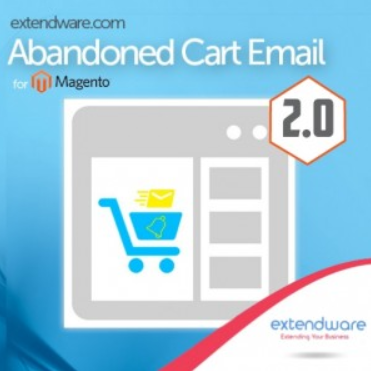 Magento 2 Abandoned Cart Reminder extension by Extendware helps store owners decrease the effects of cart abandonment by converting abandoned carts into orders and increase their sales and profit. The module sends automated reminders to cart abandoners offering them to come back to a web store and proceed to checkout. 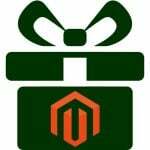 Below, we describe the functionality of the Magento 2 abandoned cart emails extension in more detail. With Abandoned Cart Reminder for Magento 2, you will prevent losing sales from abandoned carts using catchy emails sent to your website visitors. The module automatically sends reminder emails to customers who left their carts without completing the purchase. The abandoned cart emails extension enables users to set the schedule for sending recovery emails based on the specified intervals. You can send an unlimited number of email reminders within the time periods most suitable for you. This way, you increase the chances of your messages to be noticed by the customers. So, for example, if a client doesn’t buy items added to the abandoned cart in one week, you can send another email offering your assistance. Moreover, it is possible to generate coupon codes and offer unique discounts to customers in your recovery messages. Special offers add more incentives for proceeding to the checkout and catch your potential clients’ attention. Note that coupons are generated automatically by the Abandoned Cart Reminder module. Besides the registered customers, the Magento 2 extension also allows sending follow up emails to guest visitors, even with disabled guest checkout. A guest user just needs to fill in the email address field at the checkout to trigger the cart reminder sending. This function is possible due to AJAX that captures the emails.